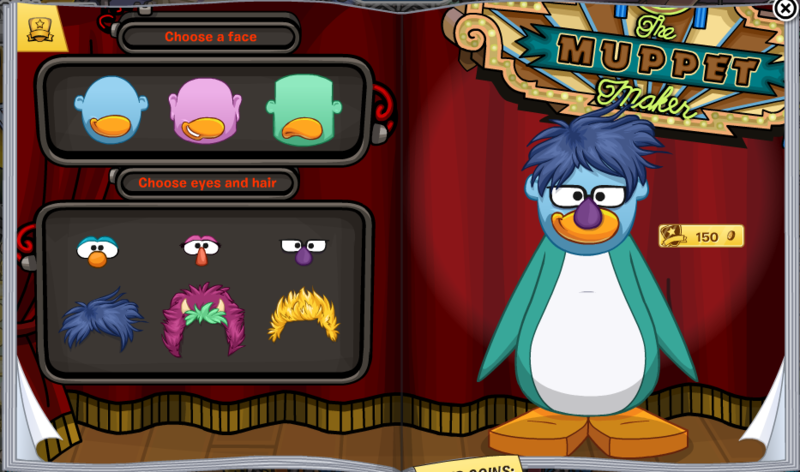 Club Penguin has released another Club Penguin style catalog for the month of March 2014. The Muppets are arriving to the Club Penguin island this month, we're going to have many Muppet themed outfits! You can create your own muppet! I did not know about this until I actually logged into Club Penguin and looked into the style catalog. There is no hidden item on this page. A hidden item has been found on the second page! 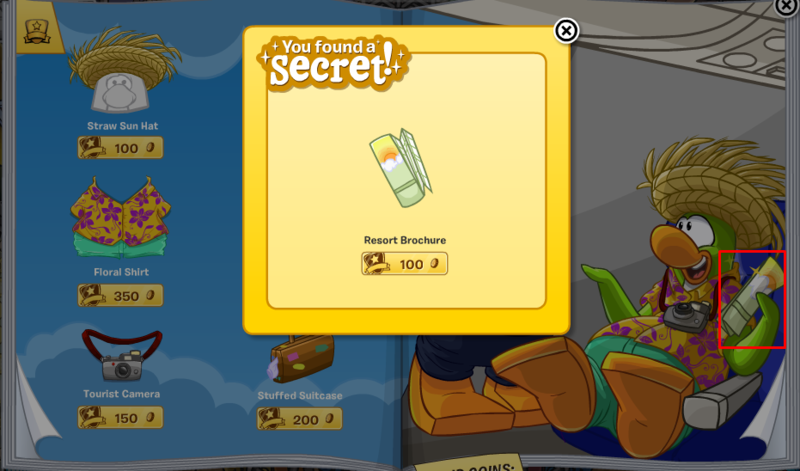 This secret item is called The Jetsetter. I put a red box around the area you can click to collect this secret item. What?! Another secret item found. 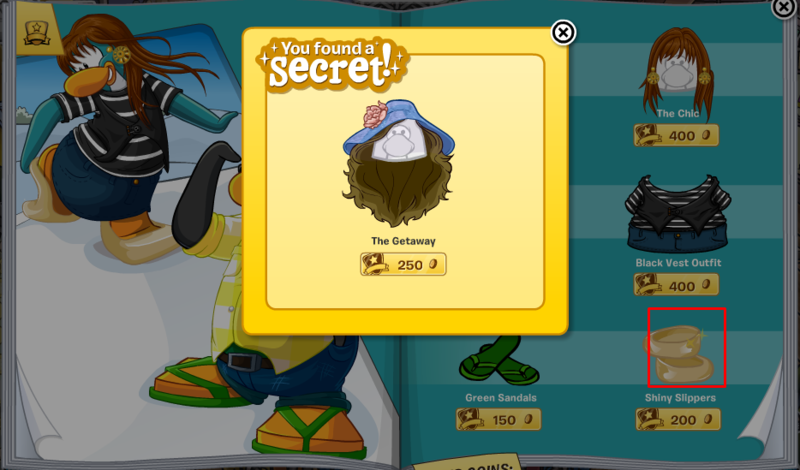 This secret item is called The Getaway and it's a head item. Again, I put a red box so you can know where to click. Now we're onto the more beach themed outfits. There is a secret item on this page called Resort Brochure. You can get it by clicking on the green penguins hand (or should I say flipper....). Those are all the secret items for this month of March 2014. We're going to travel to different places during the Muppet World Tour so be sure to get as many dfiferent outfits as you can.